Mandy's Caddis Pupa is an imitation of a free swimming natural caddis pupa found in most rivers and streams. Underbody : Lead wire covered with olive tying silk. Rib : Medium brown tying silk. Overbody : Clear magic glass or vinyl rib. Legd : Six black spanflex rubber. 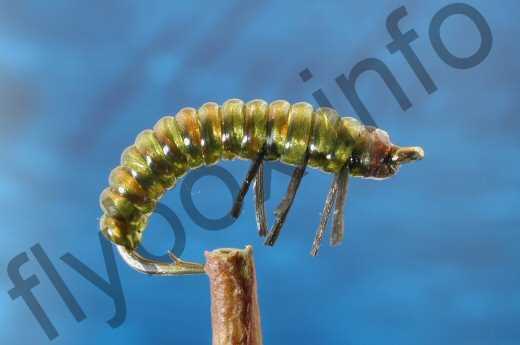 Currently there are no comments about the Mandy's Caddis Pupa fly pattern from other fly fishermen yet.